Click on the Contact Us link at the top of this page. 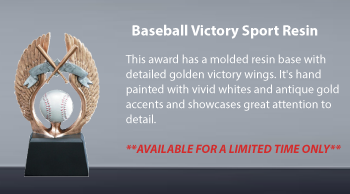 Immediately after you place your order online, Sun Devil Trophy will send you an email which confirms the details of your order. How will I know when my product is shipped? How & Where do I enter my engraving information? After selecting your awards, you will be prompted for your engraving information. You may “attach” a layout or logo by clicking “browse” and navigating to the location of this file on your personal computer. Don’t forget to click “upload” to transfer your file to our servers. Unless instructed, all text will be centered. What method of payment can I use online? Sun Devil Trophy, accepts Visa, MasterCard, Discover & American Express. Will my order & credit card information be safe over the Internet? How can I establish an open billing account with SDT? Please contact us by email or call us at 1-800-206-6323. Our staff will be happy to assist you. Sales tax is collected at the current rate of 8.1% for Arizona orders. The amount of engraving depends on the product. Each item has a maximum number of lines available. Twenty to twenty-five letters per line is suggested for most products. 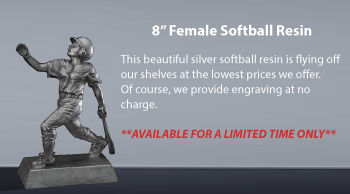 You may use a logo or artwork in place of one or more lines of engraving. May I be assured that the engraving is professional? Sun Devil Trophy uses the latest technologies and software on state-of-the-art equipment. Our Graphics Department and Engraving / Assembly Staff are some of the best in the business, and our primary objective is quality in every piece. May I see the engraving setup before you put it on the product? Yes. On the order form (under special instructions), you can request that a proof of the engraving layout be emailed to you for your approval. There is no charge for emailed proofs. Your order will be shipped within 3-5 working days following your approval of the proof. Please note that this may delay your shipment as your order WILL NOT go into production until the customer has approved it. What if the engraving is spelled wrong? After selecting your awards, you will be prompted for your engraving information. You may “attach” a layout or logo by clicking “browse” and navigating to the location of this file on your personal computer. Don’t forget to click “upload” to transfer your file to our server. Unless instructed, all text will be centered. Shipping questions. Most of Sun Devil Trophy & Awards products are in stock and will be shipped from our production facility 3-5 business days after we receive your order. Some non-stock or special order products will require additional time. Rush Services are available. Please Call Sun Devil Trophy and Awards at 1-480-990-8575. Our standard shipping method is UPS Ground. UPS also offers Next Day Air, 2nd Day Air and 3-day Select. Delivery dates are guaranteed only for “typical business days”, which means Monday through Friday EXCEPT the following holidays: (New Year’s Day, Memorial Day, July 4th, Thanksgiving Day and the Day After Thanksgiving, Christmas Day and New Year’s Eve.) We consider our guarantee met when we ship by a method that is guaranteed by UPS to arrive by your delivery date. If the carrier is unable to complete the delivery due to business closure or other unforeseen events such as incorrect or incomplete address given by you, our customer. You will receive email notification when your order is shipped with a UPS Tracking Number for you to track your shipment. Clicking on the tracking number will direct you to the UPS web site. Yes, your email confirmation of your shipment will contain a tracking number. A UPS Tracking Number will be provided on your Confirmation Shipped Email. Clicking on the tracking number will direct you to UPS web site. Shipping and handling is calculated by weight and number of packages. S&H costs will vary according to the size and weight of your order, your shipping method and your location. If I need my order sooner, do you have an express service? Yes, we offer express services, including rush services and overnight air shipments. Please email or call us at 1-480-990-8575 if your order requires special attention. Shipping and handling is calculated by weight and varies according to your order size. Shipping will be calculated before you submit your order and you will be given the option to choose various shipping methods. While we are not responsible for delays or damage caused by shipping companies, your satisfaction is our primary concern. If you have any problems, please contact us. We will do everything possible to correct the situation. In the event that there is a problem with your order, please contact us immediately. We will do everything possible to correct the situation and ensure your satisfaction. Please call 1-480-990-8575 or email us at awards@sundeviltrophy.com right away. Most of the problems are as simple as sending out a new engraved plate, rather than returning the entire trophy. If the problem is more significant than that, we will work with you to solve the problem. How do I send you my company logo? What format is the best? Your logo can be sent in a variety of formats. We prefer a PDF, JPG, AI, EPS or CorelDraw File of the image. Note that any artwork submitted that is in color and/or includes gradients, halftones or shading WILL be altered to a monochrome format for our sandblasting, laser engraving and diamond engraving needs. Rest assured your overall appearance will be maintained, but our processes of branding objects limits us to one stage layout. If you are in doubt, just upload what you have and the Graphics Dept at Sun Devil Trophy & Awards will do the rest!